Just in time for Chanukah and the launch of his new DVD Yonatan Shainfeld presents a all NEW single entitled “Just do it”. This new single is a pop song and combines both English and Hebrew lyrics and will be featured on Shainfeld’s upcoming album. Yonatan graduated from the “Kinderlach” band and is currently working on his second solo album due out next month. Shainfeld has gained himself a fan base abroad and certainly can not define him as a religious Justin Bieber. The DVD from the show presentation he did Yonatan first album Reading 3 in Tel Aviv. 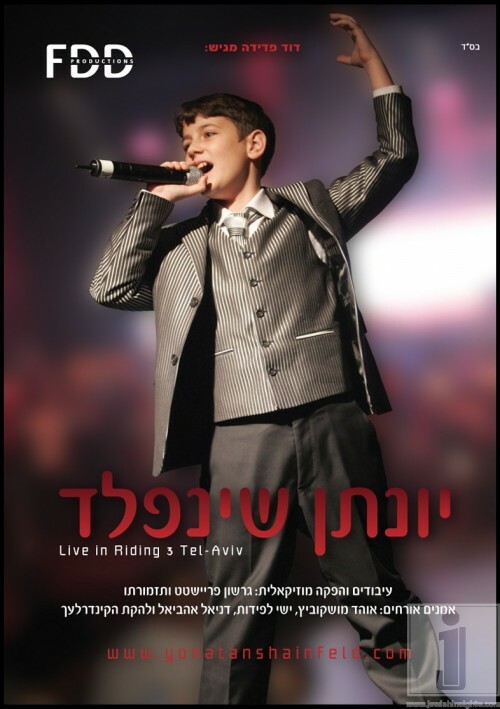 The DVD also featured; Yishai Lapidot, Ohad!, band Kinderlach with a all NEW new song and violinist Daniel Ahaviel. Yonatan has performed with Israel’s best artists around the world and is considered a rising star in the religious sector, especially among Jewish youth worldwide.